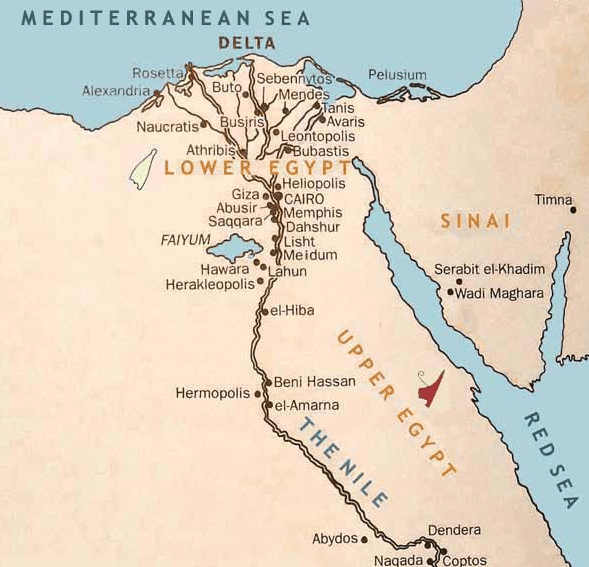 As the great capital of Upper Egypt, the city of Thebes (Luxor now) was established and later became the religious capital of the nation before this situation changed during the Roman period. The establishment of the city of Thebes dates back to the time of the 4th Pharaonic Dynasty around 2575 BC. Luxor was famous for several names throughout history, beginning with the city of “East”, and then called the name “good” by the Romans, before describing the city “Hundred Door”, “The Sun”, “Light”, and finally called by the Arabs Luxor, because they found plenty of monuments of ancient Egypt. The decision to establish Alexandria was not just a simple decision; it was a dream for Emperor Alexander the Great in 332 BC. The dream itself began by filling a part of the water separating an island stretching out to the main coast called Faros with an ancient port and a small village called Ractus or “dancer” surrounded by other small villages also spread between the sea and Lake Mariout. Alexandria continues the capital of Egypt, for nearly a thousand years, until the Islamic conquest of Egypt by Amr ibn al-Aas in the year 641. Alexandria was known throughout history by many landmarks such as the ancient Library of Alexandria, which had more than 700 thousand volumes. Alexandria lighthouse which was considered one of the seven wondered of the world. Some historians considered that it was formed the nucleus of the old Cairo; but others saw it as an extension of the city, which en-old back to 7 thousand years, and then “Heliopolis” Ain Shams currently. After the Islamic conquest of Egypt in the year 639, and built “al-Fustat” city year 641, then built a mosque knew his name. When Fatimids entered Egypt, they were taking in laying the foundation of “Cairo”, and laid the foundation of the great Fatimid palace and proceeded to build the Al-Azhar Mosque. Memphis entered World Heritage Sites, where it was founded in 3200 BC by king Narmer. It was the capital of Egypt in the era of the Old Kingdom and its current location is Badrasheen, Giza. Memphis became known as the “White Wall” until the twenty-sixth century BC, until the Egyptian called it “Nefir”, a name that the Greeks called “Memphis” and then the Arabs called it “Memphis”.